Quality Assurance at Premium Wood Products, Inc.
Our quality assurance is second to none. Premium Wood Products is a name you can trust from initial concept to final delivery. Our complete range of custom wood products are the highest quality because we accept nothing less. We believe in 100% customer satisfaction which builds tremendous loyalty. We want our customers to buy with total confidence and be proud to show their friends and recommend us. We work hard to assure that our customers have a great experience with Premium Wood Products. 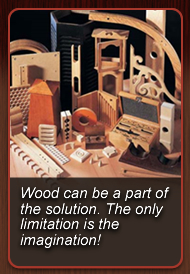 We want to be the only source for superior wood parts that you will ever need. 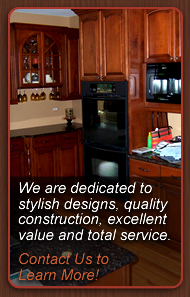 We are always ready to meet the challenges that arise with any custom wood product. Our experience can deliver exceptional service for both small and large run jobs. We constantly upgrade our technology in order to provide our customers with the best product at a great value. Our customers can be assured that we do our very best, every day. There is always a better way, and we constantly look for it! We are always here to support you. With our business, you can be assured that you will receive a complete and finished product directly from us. We do not rely on outside assembly, packaging, or warehouses to provide finishing services for us. The satisfaction that we receive in a job well done is transferred back to us from the customer by their repeat business. Our customer relationships are the driving force in our daily operations. We stand behind our custom products and our reputation is held in the highest regard. Let us earn your business and give you the Quality Assurance that you deserve. Since 1982, Premium Wood Products success has always been measured by customer satisfaction.